Are you tapping into your true power? According to the most ancient philosophies, if you have controlled your mind you have controlled everything. There is a Creative Force in the Universe that is there for you to access. It can bring forth solutions and spur insights, opening life up to be an incredible experience. However, our very thoughts, words and actions can block the flow of this power through us. 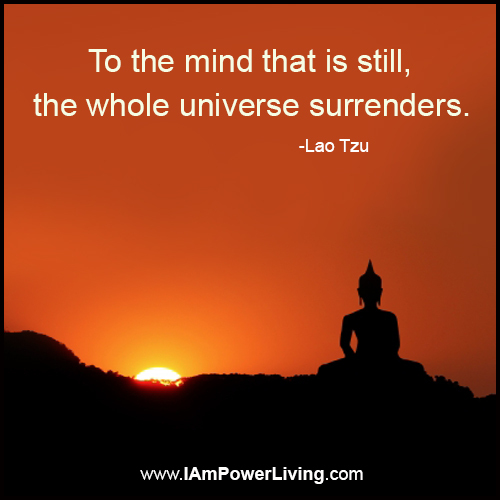 Unleashing this force starts with decluttering the mind. So, tap into the power. Turn the volume of the world down so you can tune your mind to hear inspiration. 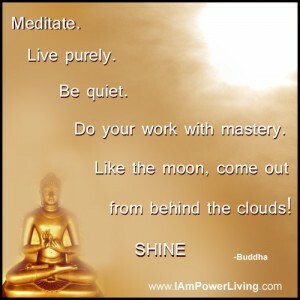 Take time to meditate by focusing on one thing such as the breath. At least every 90 to 120 minutes, pause from work to be present with life while giving the brain an opportunity to innovate. Get enough deep REM sleep so you can enter into the creative dream state at night. When you still the mind, you can be a clear conduit for Infinite Intelligence giving you have everything you need to be creative, joyous and prosperous.